New markdowns + extra 40% off at Justice! They have a Dog, Lady Bug, Unicorn, & Bumble Bee for $8.97 and they are all eligible for free in-store pickup. 6pm Deals! Euro comfort sandals up to 70% off! More! FREE 2-day shipping on $100 orders or $2.95 flat rate shipping on all other orders! Euro comfort sandals up to 70% off! Men's casual apparel up to 70% off! 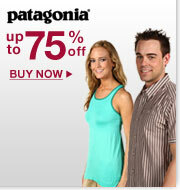 Patagonia up to 75% off! Sebago up to 70% off! Gabriella Rocha up to 75% off! HOT! Sonicare HX5351 Toothbrush - $30 Shipped! Online Coupon: Click & save additional $10 on select Sonicare! *$29.99 Shipped when you "clip" the coupon and add to cart! There are coupons for most Sonicare products today, so if you purchase additional heads, etc. make sure to clip your coupons! Corner Desk - $50 Shipped! You will need to add a filler item to get the free shipping. You can use item #771352 or something else. Select listed city as your city @ groupon.com. You do not need to live in select city. Purchase the groupon and then you will receive a code to redeem your code online. If you don't see your deal front and center, look on the side because it could be a side deal! 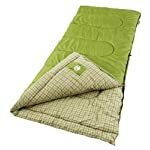 Coleman Sleeping Bag (30-50 degree) - $29 Shipped! $2 T-Shirt! Choose from over a thousand designs! Free Shipping on $75. No code required. Valid thru 6/15/11. Click here to see other deals we found! Free Shipping @ Fashion Bug Today!! Gazebo - Waterproof Screened 13' - $100 Shipped!